The 2013 FIA Formula 1 World Championship draws to a close in Brazil this weekend. The season finale takes place at the Autodromo Jose Carlos Pace, one of the oldest and most atmospheric venues on the calendar, and a track at which McLaren has enjoyed much success over the years. The circuit is named after Jose Carlos Pace, who raced under the shorter name of Carlos Pace for Surtees and Brabham in the 1970s, winning his home grand prix in a Brabham in 1975. He was killed in a private aircraft accident in 1977, and had been a great friend of fellow Brazilian racer Emerson Fittipaldi, to whom Interlagos also means a huge amount: he won his home grand prix in 1973 (in a Lotus) and 1974 (in a McLaren). Emerson won McLaren's first ever F1 world championship in 1974. There have been several iterations of the circuit since it was built in the Sao Paolo precinct of Interlagos in 1940. The current anti-clockwise layout dates back to 1990 and, despite being resurfaced regularly, the marshy topography results in its being decidedly bumpy and therefore physically demanding for the drivers. From a technical point of view, the circuit's 800-metre altitude has a detrimental effect on car performance. Engines lose seven percent of their power compared with sea level, and aerodynamic addenda are less effective, which shortfall places even greater emphasis on mechanical grip. As was the case at last weekend's United States Grand Prix, where Jenson Buttonand Sergio Perez both finished in the points, Pirelli will take their Medium and Hard compounds to the race. Jenson has good memories of racing in Brazil. He scored his first world championship point at the Autodromo Jose Carlos Pace in 2000; he clinched the world title at the track in '09, and he scored his most recent victory there last year. Both he and Checo will be looking to end this season on a high. Jenson Button: "Obviously, I have some extremely happy memories of racing in Brazil - it's where I won my world championship, back in 2009, and it's where I took my most recent grand prix win, last year for Vodafone McLaren Mercedes. "This year has been a tricky one, though, and it'll be tough heading back to Sao Paulo knowing that the team hasn't taken a victory since race day last year, but to be honest that only makes me more determined to end the season on a positive note. "Finally, Brazil will be my final race in Vodafone overalls. I've won eight grands prix in our title partner's famous rocket-red colours, I've driven some of the best cars of my F1 career during my association with them, and I've done some incredible things with them too - like driving an F1 car around Mount Panorama, one of my lifelong ambitions. Vodafone has played such a major part in the success of our team over the last seven seasons, and, while I'll be sad to see them leave, I'll always be proud of the successes we enjoyed together." Sergio Perez: "My final race for Vodafone McLaren Mercedes will be the second successive race in the Americas, so it'll be another weekend in front of my fans from Mexico and Latin America, and also another opportunity for me to show my abilities before the winter break. "I love Interlagos because it's such a racer's circuit - you attack the whole lap. The first corner is a fantastic place for overtaking, and you can pretty much race side-by-side with someone all the way down into Turn Six, which is incredible. The infield section is tricky, because it has a range of elevations and cambers, but it's a fantastic feeling when you get it right. Finally, Juncao is a tough little corner, because you're often outbraking yourself on entry, simply because you want to maximise your speed through the corner in order to maintain speed along the long, top straight. "Every lap is a challenge and, when you're racing, an absolute thrill. I love it around here and I'll be giving it everything to make sure I finish the season in style." Martin Whitmarsh, Team Principal: "There are few more satisfyingly challenging venues at which to conclude a long Formula 1 season than Interlagos, the home of Brazilian motorsport and one of the most spectacular and awe-inspiring racetracks in the world. "The race will bring the curtain down on the sport's current set of technical regulations, and will immediately send us busily into the winter as we start to prepare for a new era of turbocharging and energy recovery. It's an exciting time for the sport - but also a nerve-wracking period for every team as we come to terms with a daunting array of new variables and permutations. 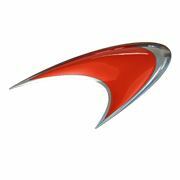 "For everyone in the Vodafone McLaren Mercedes team, the Brazilian Grand Prix marks the end of another era - it will be the last grand prix of Vodafone's title partnership with us. Vodafone will step away from that title partnership after having spent seven fantastic seasons with us - during which time we won one world championship and 34 grands prix together, and also took 30 pole positions and 24 fastest laps. "We also take home a lot of wonderful shared memories, some of which we'll cherish for the rest of our lives. Speaking for myself, I'll certainly never forget the emotional rollercoaster that I found myself on, sitting on the pitwall here at Interlagos, five years ago, as we won the world championship on the very last corner of the very last lap of the very last race. Thank you, Vodafone. Power to you!"